This comprehensive guide includes beautiful photos and questions to encourage discussion and expand on concepts presented in the film. You'll also find a suggested reading list and organizations that are involved with helping the Tuareg. A great choice for schools, libraries, universities, community groups and religious organizations. 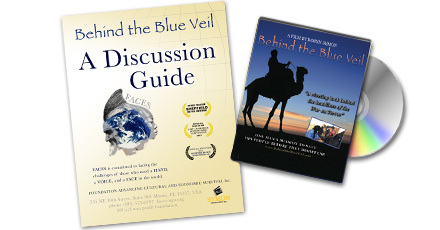 Buy "Behind the Blue Veil" formatted DVD (worldwide). "Behind the Blue Veil" includes Public Performance Rights so your organization can host a screening as long as no admission is charged.